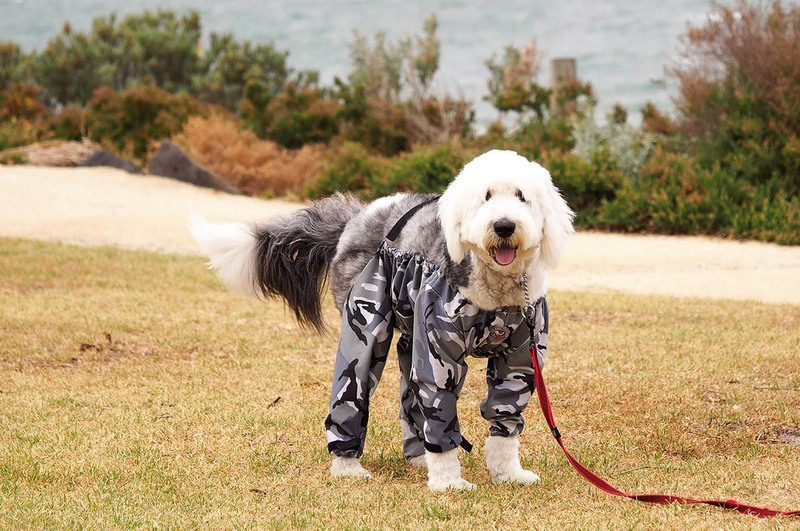 Recently launched in Melbourne, The Dog Trouser Company is licensed by the UK founder, Harriet Sinfield-Day to distribute Dog Trousers in Australia and New Zealand. If you attended the Melbourne Dog Lovers Show this year, you may have spotted Henri the woolly Old English Sheepdog causing a stir amongst visitors! Heads were turning and the main questions were "why?" and "how do they stay up?" so we decided to find out a bit more! Dog Trousers are an article of clothing worn by a dog that acts as a barrier to protect dog’s legs and undercarriage, repelling water from a winter's walk or puddle, sand flicked up during fun at the beach, mud from the park and café pavement grime. A practical pet accessory offering dog owner’s a choice to save time on grooming, car and household cleaning. Made from a lightweight, waterproof and windproof material they are easy to take on and off. Simply remove them after the beach, park, local cafe or after a trek so that the dirt and water doesn’t end up in the car or on the couch. Dog Trousers can also provide a barrier for those dogs suffering from environmental allergies reducing the need for expensive medicines. They also help to protect dogs from burrs and grass seeds and are a great post-op alternative for dogs that don't cope well with wearing the traditional vet cone. With their unique design, they cleverly cover only what needs covering whilst allowing airflow and the dog freedom to toilet. 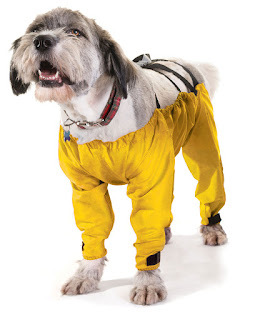 Dog Trousers are very comfortable, allowing maximum movement, so that your pet can sit, run, play and jump. Designed to fit under a dog’s coat on those days when some breeds feel the cold. 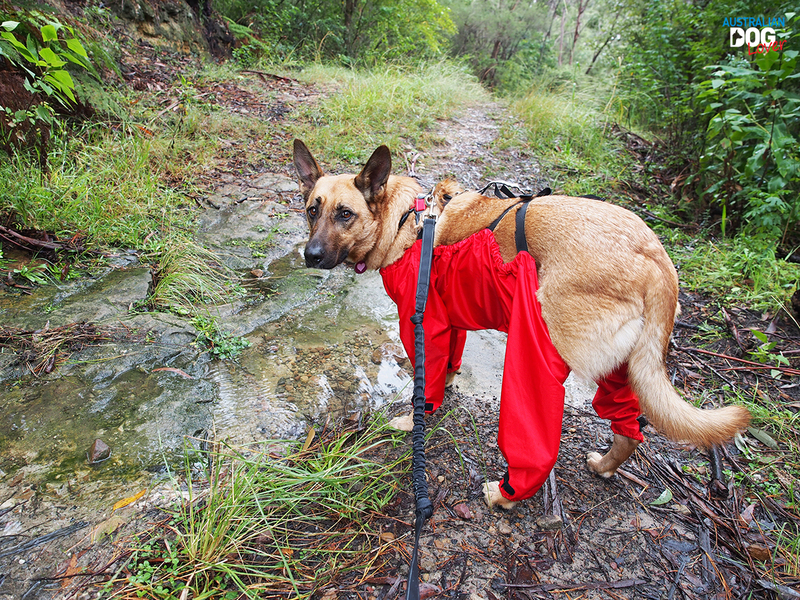 These dog trousers are not a dress up, although they come in Yellow, Red and Camouflage and can make a dog look cute –they are a practical solution for all dogs. Also available from Hachi - Shop 3/ 286 Toorak Road, South Yarra, VIC, 3141.